5 gallon jug with cap. 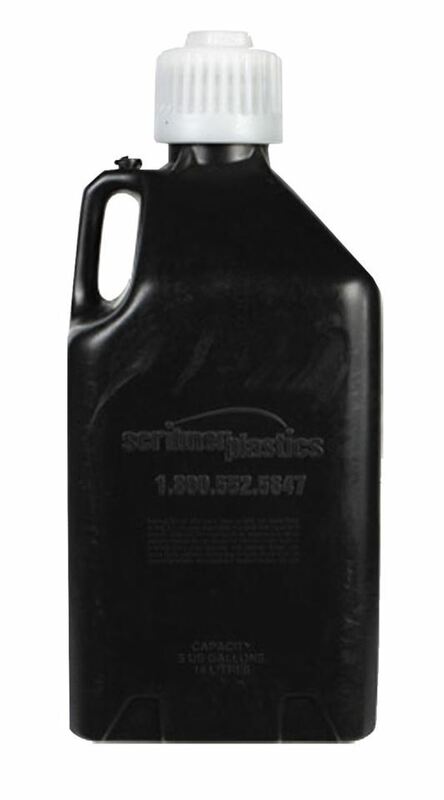 HRP6363-CLR 2 1/2 gallon jug also available. These utility jugs are not designed or intended to contain fuel. Your use of utility jugs as fuel containers may violate the law of your state. Please check your own state law for the legal requirements pertaining to the use of these utility jugs.